Through the generosity of individual donors and the many funds that make up the Community Foundation of Southern Indiana, last year over 100 scholarships were awarded to youth across our region to support their continued learning. Congratulations to all of our scholarship recipients!  Whether you’re someone who is interested in establishing your own scholarship fund to support the educational needs of our youth, or a student in Clark or Floyd county exploring options to continue your learning, the Community Foundation of Southern Indiana can help you realize your goals. The Community Foundation of Southern Indiana partners with many individuals and organizations to offer scholarship opportunities to students throughout Southern Indiana. At the beginning of each year, students in Clark and Floyd counties are encouraged to explore the scholarship opportunities offered through CFSI. If you are a student who is interested in learning more about the Community Foundation’s scholarship process, please follow the links below. Please refer to the 2018-2019 Scholarship Information Packet for more information. Creating a scholarship fund at the Community Foundation of Southern Indiana is one of the easiest ways to forever impact the course of a student’s life. Scholarship funds give students opportunities that may not have been available otherwise. Today, the cost of post-secondary education is skyrocketing and more and more students are facing the decision about whether or not they can afford an education. To learn more about creating a scholarship fund, click here. There are two scholarships available through the Johnson County Community Foundation for which ALL Indiana students may apply. Visit www.jccf.org for more information about the Peeples Foundation Trust Fund Scholarship and the Hamann Family Memorial Scholarship. If you have any questions or comments regarding our scholarship process including the Lilly Endowment Community Scholarship Program, please contact Crystal Gunther at (812) 948-4662 or by e-mail at cgunther@cfsouthernindiana.com.